Carolina Piber took over the role of Managing Director for Latin America in August 2016. She is responsible for the strategic direction of Expedia.com in Latin America and to drive the company's continued growth in the region. Currently, Expedia.com operates 3 sites located in the region (Argentina, Mexico and Brazil). Before starting on Expedia, Piber was Senior Director and General Manager for Latin America on Hotels.com. Carolina began her work at Hotels.com in March 2012 as Marketing Director for Latin America and was responsible for the strategic direction of marketing for the brand throughout the region (including a campaign in Mexico that awarded her multiple times), working with Local teams to build brand awareness and increase customer base. 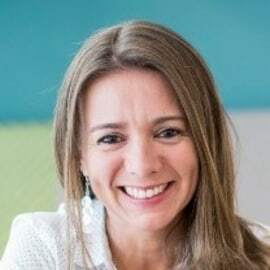 Prior joining Hotels.com, she held a position as Senior Marketing Director for Dell in Brazil where she was responsible for driving the brand's demand generation and media planning strategies. Carolina Piber began her career with UOL in Argentina as Marketing Analyst and then as Online Marketing Coordinator, before moving to Latin3 where she spent four years as Media Director. She then moved to Google Inc., where she worked for four years as Associate Director of Sales and Operations before assuming the role of Senior Sales Executive. Piber holds a master's degree in Technology from the EOI Business School in Madrid and a master's degree in Strategic and Technological Management from the Technological Institute of Buenos Aires (ITBA).